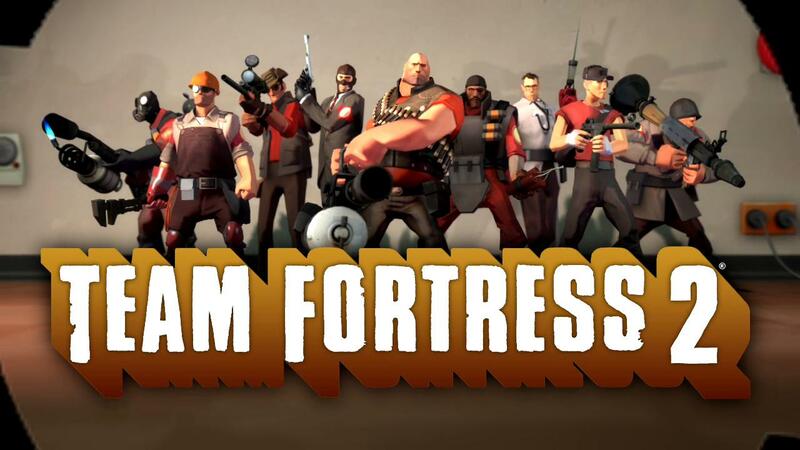 TF2, for non-gamers, is Team Fortress Two — a high­ly styl­ized first-per­son team-based shoot­ing online game by Valve Soft­ware. TF2 is often held up as a shin­ing exam­ple of just how smooth­ly pol­ished a game expe­ri­ence can be. This arti­cle is not a review of TF2, but rather of it’s nifty new video edit­ing fea­ture that was added just before TF2 went “free to play” (mean­ing you can play the game for free as much as you want). It’s worth briefly sum­ma­riz­ing why Valve’s TF2 is so good because it informs the rea­son that the video edit­ing fea­tures make it even bet­ter. Valve care­ful­ly stud­ies what worked and what didn’t about it’s own games and about mods peo­ple made to it’s games. 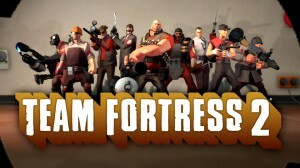 Team Fortress (or the class-based shoot­er) start­ed out as mods to sev­er­al of valve’s games. TF2 is the result of many years of pol­ish on that for­mu­la to make it near­ly per­fect­ly fun to play. In the pic­ture above, you see a depic­tion of the class­es. Front and cen­ter is the “heavy” … he wields a mini­gun and has more health than any oth­er char­ac­ter. This is bal­anced by the fact that he is slow­er than all the oth­er choic­es and his gun takes time to “spin up” before it fires. Such is the case with all the class­es. Each class­es strengths are bal­anced with weak­ness­es. More­over, each class is “foiled” by sev­er­al oth­er class­es and is also strength­ened by coop­er­a­tion with oth­er class­es on it’s own team. I’ll also men­tion that the art style, while delib­er­ate­ly not real­is­tic (and fun in it’s own sense) leads to imme­di­ate recog­ni­tion of the foes on the bat­tle field. Each class as both a unique sil­hou­ette and motion on the bat­tle­field mak­ing it easy for play­ers to quick­ly assess the very dynam­ic state of the field. I chose to upload my video to YouTube (rather than host it myself) as the YouTube post­ing might get me an achieve­ment if 100 of you (or more) go watch it — so go watch my video now (I’ll wait). Note that in addi­tion to the cam­era run­ning around, I edit­ed away the first 30 sec­onds of me stand­ing around stoned (while I was try­ing to fig­ure out which key to press to engage the record­ing). It’s not that there are no oth­er tools to record your in game expe­ri­ences. Fraps, for instance, will allow you to record a video of your play… and, indeed, it’s one of the more pop­u­lar solu­tions. But Fraps is lim­it­ed to record­ing what you see. You’ll note that the dif­fer­ent cam­era angles (as poor­ly done as they are) do add quite a bit to the video play. You can see the sol­dier before I kill him after run­ning across the rail­way tres­tle and you can see where the sol­dier that kills my pyro before I (the play­er) do. While it’s not imme­di­ate­ly appar­ent in this video, the “replay” mech­a­nism in TF2 knows the loca­tion of every play­er and every item that has been record­ed. This allows (not shown) you to switch between a free roam­ing cam­era and any oth­er play­ers view for real­ly dynam­ic sto­ry­telling on the bat­tle­field. 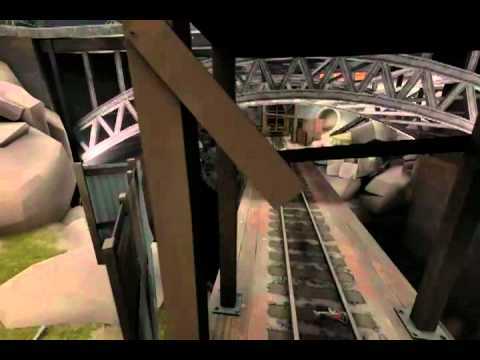 Peo­ple have also been mak­ing mach­in­ma movies using using var­i­ous 3D engines for some time, though. The Unre­al engine has even tar­get­ed these peo­ple with new ren­der­ing modes (less real time, more cin­e­ma). The real trick here is that it’s easy. Servers that enable this fea­ture offer it to all play­ers at the touch of a but­ton. After the “replay” record­ing is down­loaded, the user is giv­en the oppor­tu­ni­ty to make video “cuts” of the replay — mov­ing the cam­era large­ly. Then comes the one-but­ton upload to youtube. All-in, it’s a com­pelling pack­age. Both easy to use and fill­ing a gap where pre­vi­ous­ly only elite users dare to tread. Anoth­er nail in the fortress from which Valve takes over the world? Quite pos­si­bly. This entry was posted in Games and tagged free-to-play, review, steam, team fortress 2, tf2, valve, video, video edit, video editing. Bookmark the permalink.